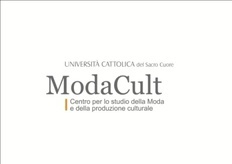 ModaCult is an academic research centre that has tried, since its creation in 1995 , to support dialogue across disciplines and practices and to compare the languages and expertise of different fashion professionals, both by organizing interdisciplinary conferences and promoting ethnographic research projects. 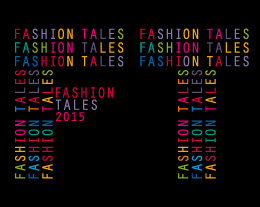 In June 2012 it convened and hosted the first edition of the Conference Fashion Tales, attended by 250 delegates from 38 Countries from all continents. Today, on the occasion of the Expo 2015 to be held in Milan and significantly entitled ‘Feeding the Planet, Energy for Life’, we invite scholars, curators, media and consultancy professionals, as well as fashion designers and business people, to share ideas, meanings, images and methodologies with particular attention to the ways they feed the social imaginary towards sustainable lifestyles. Since its beginnings in the middle of the 19th century, fashion has been narrated through multiple media, both visual and verbal, and for different purposes such as marketing and advertising, art, costume history, social research and cultural dissemination. Since then, fashion has represented an important piece of material culture in modern industrial urban societies and in postcolonial and non western contexts: artefacts that embody workmanship, tastes, lifestyles as well as the costume and art traditions of different countries. Today, the discourses and the products of material culture developed in the field of fashion are ever more concerned with the issue of sustainability. This issue is seen not just in terms of ecological and ethical practices of production and consumption, as already well established in fashion studies, but also by revealing how fashion is able to create a virtuous circle between the aesthetic innovation of collections and the psycho-physical wellness of the person. The sustainable imaginary of fashion is one which promotes multiple models of beauty, which originates from fashion’s own encounter with other visual cultures worldwide and its dialogue with a variety of fields and disciplines. These can act as a tool to build new social images of bodies, of their health and wellness, new models for actions and practices and for the nurturing of diversity. Since fashion is a system of material production and consumption, and a system of signs, it involves differently skilled people. Their purposes, however, have often been divergent and too rarely overlapping. Media professionals, communication and marketing consultants, scholars, curators and other actors of the field of fashion develop their own discourses and expertise, but often with little cross over between them. Indeed, comparing and sharing experiences, concepts and methodologies can be difficult. When these grow out of different national or regional traditions the dialogue can become even more challenging. The conference Fashion Tales 2015 aims to address this challenge. It hopes to be a platform that facilitates encounters between, skills, knowledge, disciplines and cultures the better to nurture and develop the many products and practices of fashion across which one’s gaze and thought can navigate; those art exhibitions, catwalks, photo books, movies, magazines, ads, blogs, scientific essays and interviews which feed the fashion imaginary. 1. Fashion and imaginary: how fashion is represented in the fine arts, architecture, music, photography etc., and how these representations inform a sustainable imaginary. 2. Fashion languages and linguistic codes: how to develop a new language for writing and talking about fashion in traditional and digital media (magazines, newspapers, fashion films, blogs, fashion-themed TV series, advertising etc.). 3. Visual methodologies for fashion studies: how to use images and videos in fashion research and communication. 4. Body and beauty: how to represent contemporary bodies in a non-stereotyped way, respecting the differences and the richness of body shapes and ethnic and cultural traits against a standardized image of the body. 5. Fashion and sustainable consumption: how fashion can enhance responsible practices of consumption, including in non-fashion related industries, and act as a tool of identity construction. 6. Social responsibility: how to spread social responsibility through fashion, at different levels (design, production, retail, communication). 7. Fashion houses: how to study and narrate the living culture of the fashion houses, which is an important part of the cultural capital so secretly treasured and guarded by companies. 8. Fashion schools, museums, institutions: how fashion institutions contribute to shaping the sustainable imaginary of fashion. 9. Fashion blogging and social networks: how to promote new fashion communication patterns (top down, bottom up, peer to peer) through web 2.0 and 3.0. How to contribute through them to the construction of new fashion discourses. 10. Fashion trends: how to understand (and forecast) the evolution of society by reading the socio-cultural signals embodied by fashion codes. 11. Fashion and technology: how smart textiles can interact with human body and modify both design and consumption practices on a sustainable basis. 12. Digitalization and materiality: how new personal digital devices influence the construction of fashion materiality and its representation. 13. Living fashion vs museum pieces: how to exhibit fashion in museums and in private and public collections without losing its essential dynamism. 14. World tales: how non-Western and postcolonial tales and practices can challenge the Western representation of fashion. 15. Resistant tales: how individuals and groups can produce or use alternative and counter-hegemonic fashion tales. If you wish to present a paper at the conference you will have to submit electronically, using the web-based submission form, an abstract of maximum 350 words and a 120 words profile of each author (including affiliation and, if desired, your two main publications) in English by 20th October 2014. Please use plain text and abstain from using footnotes and any special formatting, characters or emphasis (such as bold, italics or underline). We are using EasyChair for the submission and the review process. To submit your abstract please first read carefully the abstract submission guidelines and then connect to FT2015 EASYCHAIR WEBSITE. The authors of the best papers will be invited to submit a full length article to the International Journal of Fashion Studies (https://www.facebook.com/fashionstudies?ref_type=bookmark). The conference will provide a Pinterest account and a series of thematic walls for the visual contents the prospective participants to the conference will produce. The visual materials gathered will eventually be exhibited during the conference and potentially shared with companies, organizations, and institutions committed to develop new and innovative visual/verbal expressions of fashion. Further details will be available on the conference website and social media. Copyright ©2008-2011 - Università Cattolica del Sacro Cuore - All rights reserved.